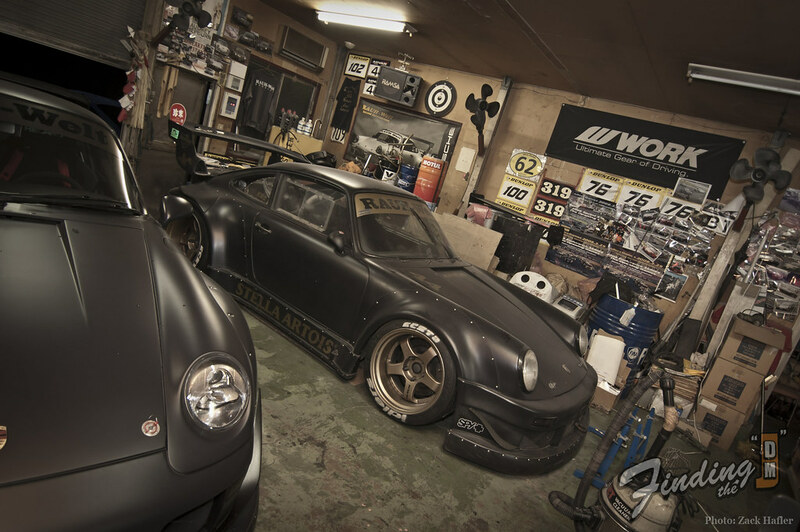 My visit to RWB in Japan. 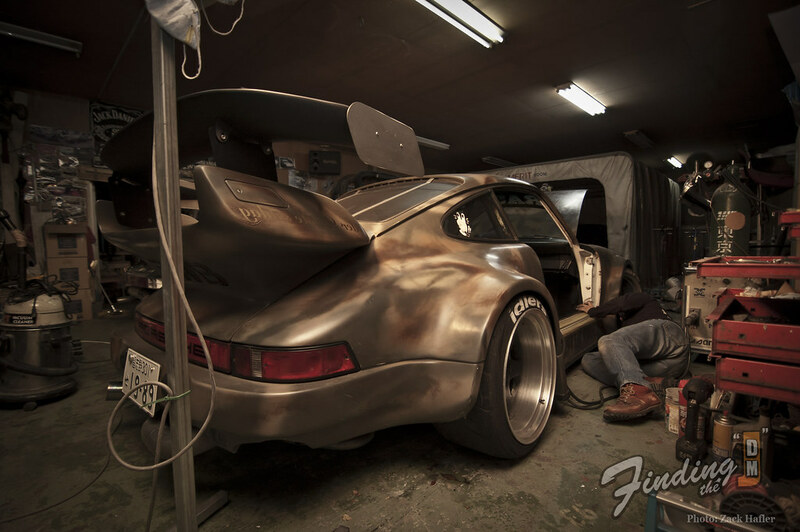 So my buddy Aaron Mai invited me along to check out RWB’s shop in Chiba, Japan. Seeing these cars in person, you realize the images really don’t do them justice. The attention to detail is insane. Here is the famous “Stella Artois” awaiting her next day out. Sitting next to “Stella” is a beautiful 993 named “Obabone” dressed in all the standard RWB trimmings. 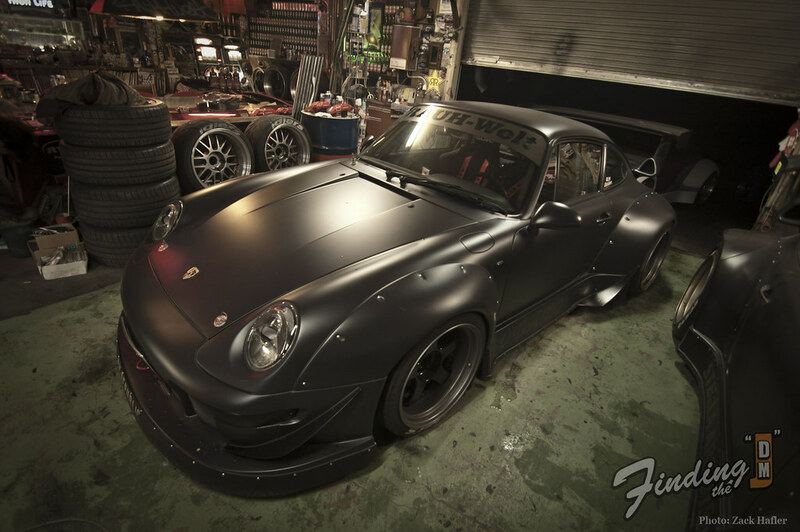 Something most people don’t know about RWB’s “black” paint; all of the black paint will get mixed with a shade of another color. For example, the NojiReal/RWB AE86 I covered a few days ago features purple mixed with it’s black. No measuring is done either so each paint job is original and never duplicated. Seeing the cars in person, it’s quite obvious the blacks are not the same shade. Just in case your wondering…no, the dart-board is not for sale. 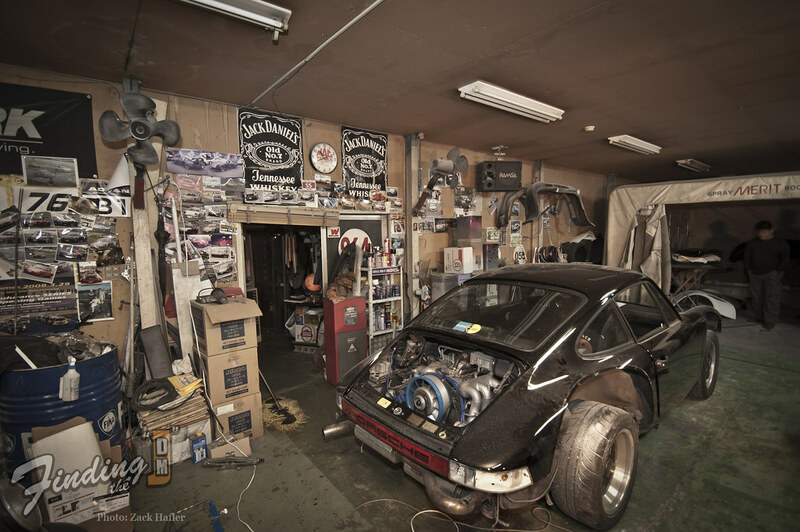 In the back of the shop, albeit directly in front of Stella, sits a 930 waiting for Nakai-san to come give her a well needed massage. 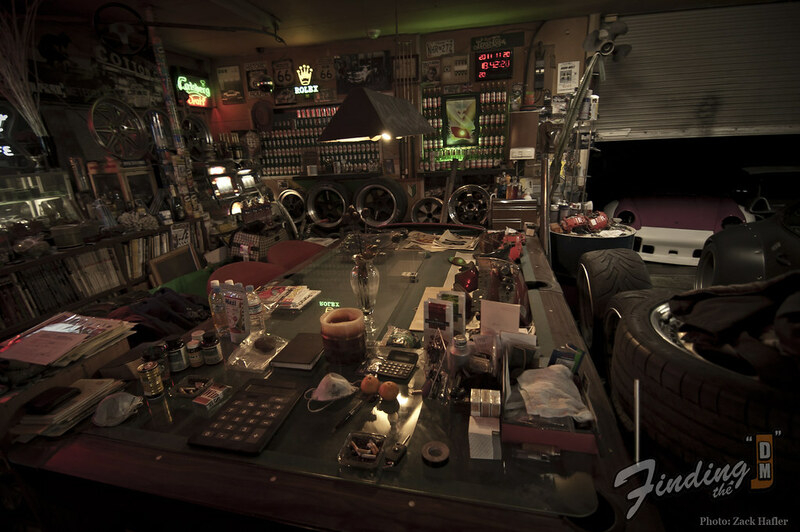 Its crazy how such a small shop can create these insane cars and make it look easy. Excluding the lounge area the shop is no larger than a 2 car garage is wide, and about 2 times as deep. They still manage to cram 4 cars in and get the job done, as you’ll see in the next image. Although it appears that the exterior of this car is finished, the interior was clearly having some work done. The paint on this car was pretty crazy. Rarely do you see a car painted camouflage and it actually look good, but with RWB’s aggressive style, I think his Porsche’s are one of the few cars that can pull it off. Is it weird to tell an RWB employee, “Hey, nice boots” ? I hope not. 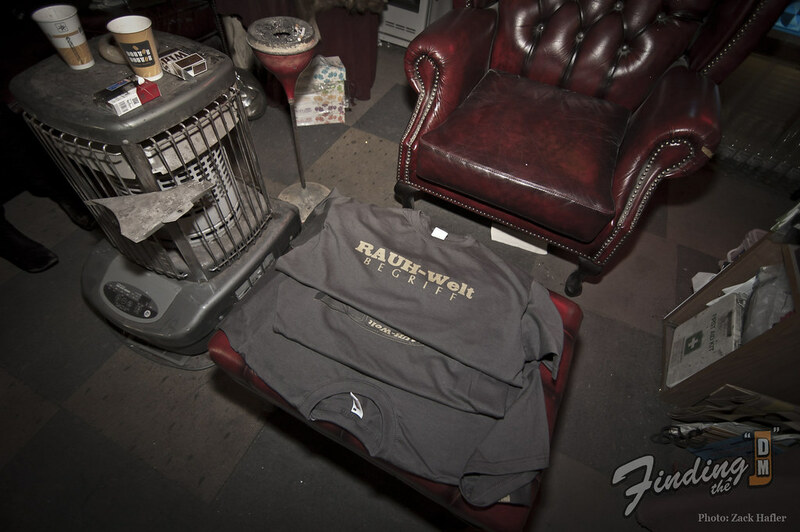 Here’s a section of the RWB Lounge area. 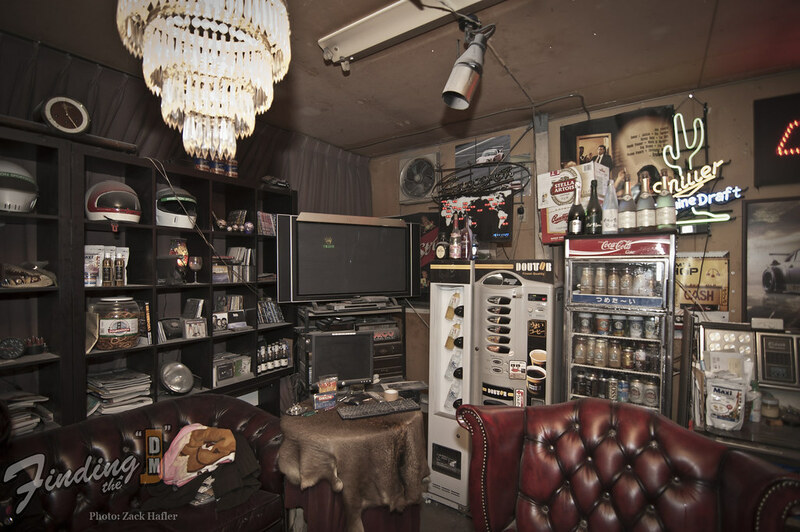 I was digging the fully stocked coffee fridge and vending machine as well as his helmet collection. A couple of t-shirts the guys from Maiham-Media (they practically live here) whipped up and brought over to Nakai-san as a gift. The shirts are available for order HERE. The front end of the Lounge. It really feels like your in a old smokey bar. Well that just about sums it up. The shop isn’t a far drive from where I live so I’m sure there will be more posts about RWB and the shop in the near future. Please leave a comment, and stay tuned! I really want that dart board.